1. In lukewarm water (Should not be too hot or else the yeast will die) mix sugar and then mix yeast and keep it aside closed, for 10 minutes. 3. Milk should be lukewarm. Should not be cold or very hot. If cold the dough won’t rise and if hot it will kill the yeast. 5. After 10 minutes or so, keep on taking little butter in your palms and knead it using all the butter and keep on kneading for 5 minutes or so. 6. 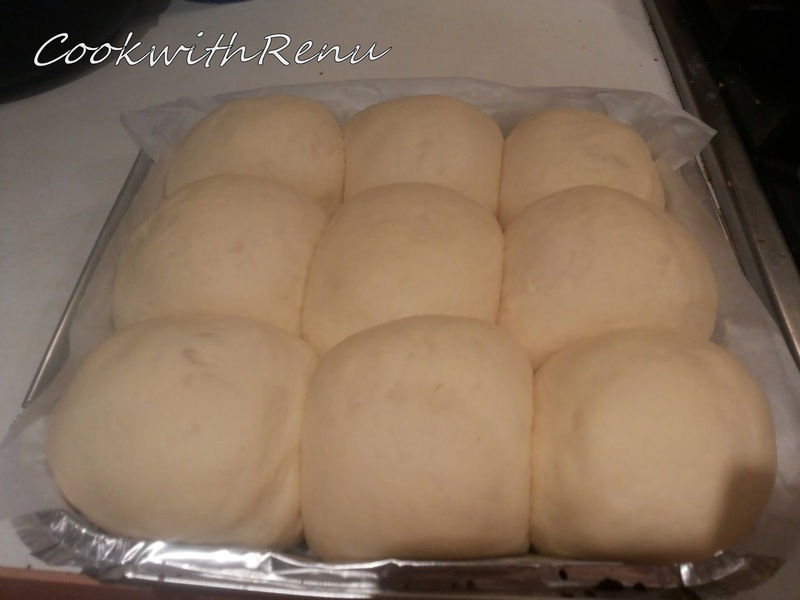 The dough should be shiny and elastic. 7. 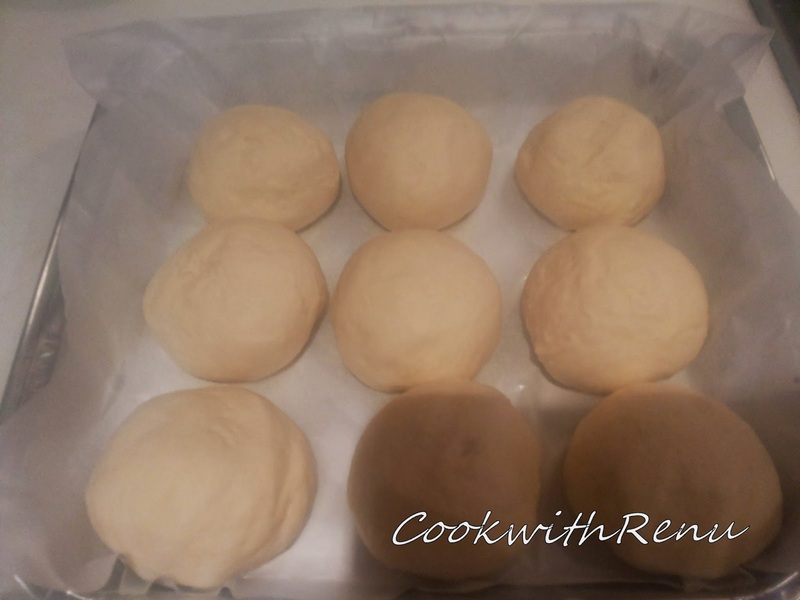 Cover the dough with a muslin cloth or with a cling film (on top of the bowl and not on dough) and let it rise for 90 minutes or until double in size. 9. Arrange the balls in the baking tray having enough spacing between the balls. 10. Cover the balls again and let it rise for 90 minutes or until double in size. 11. Preheat oven at 200 deg celcius. Brush the balls with milk (To get brown colour) (Brush the milk very lightly) and bake for 15-20 minutes. (All oven’s are different and you are the better judge of your oven. So heating time varies.) Do not exceed the baking time just because you are not getting the brown colour. It might go hard. 12. 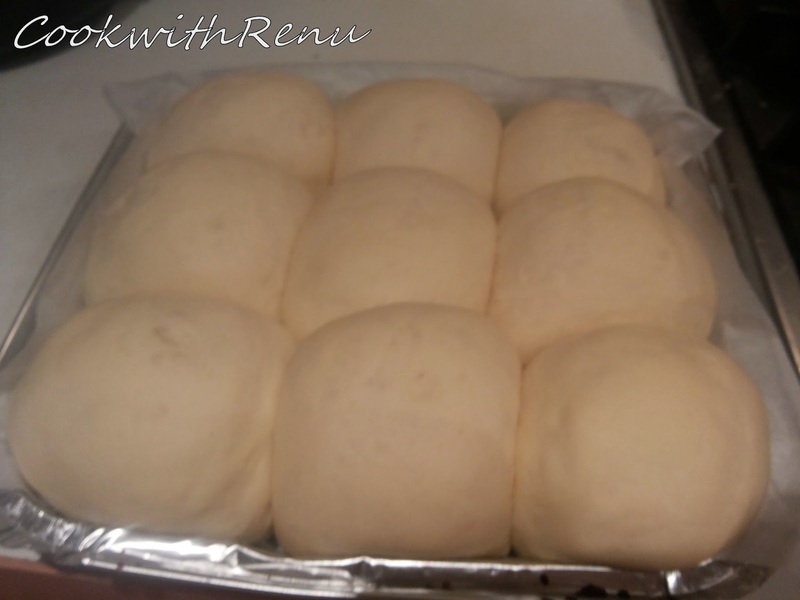 Once done remove from oven and apply butter immediately and remove from the baking tin and let it cool on a wire rack. For the dough to rise in cold countries , warm your oven for a few minutes. Switch off the oven and keep the utensil inside the oven. Remember to switch off the oven. We just want a warm climate, where in we can help rise the dough. Do not over heat or else you will kill the yeast. If required simply keep in the oven without warming or keeping the light on. Start with half the quantity in the start if you are not confident…..
All oven’s are different and you are the better judge of your oven. So heating time varies. They look superb, I don't bake bread very often, primarily because I have no self control when it comes to hot fresh bread… I reckon I could eat a whole tray of these! Thanks Brian, True one can eat loads of fresh baked bread. 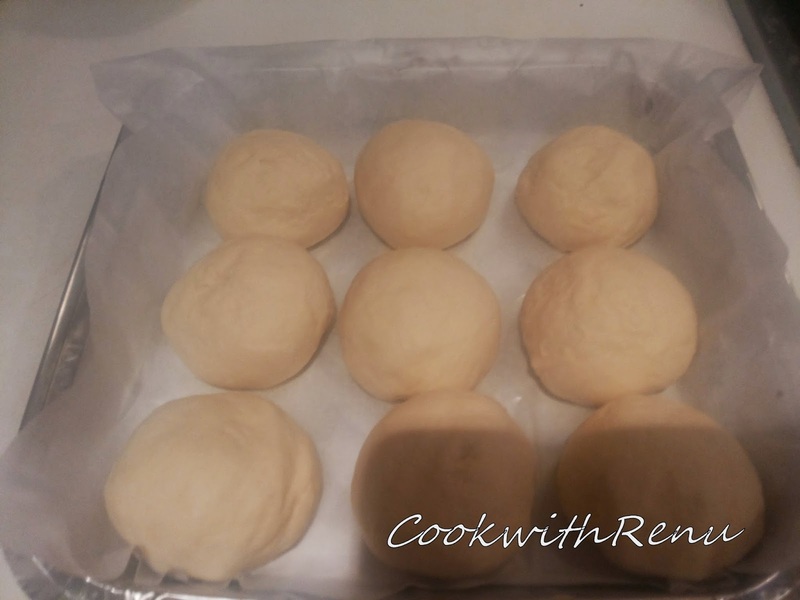 These look perfect – I love home baking and there is nothing like the smell of baking bread in the house – delicious recipe Renu. The pav looks perfect! The crust, the inside, all look so good… super soft! I too love these soft pillowy pav. The crumb and crust look so perfect. The pav looks perfectly baked..soft and fluffy ..lovely share ! The texture of the pav is just too good, crusty on the top and cloudy soft inside, lovely recipe. Pavs have turned out to perfectly. Loved the way you have explained the whole process in detail. 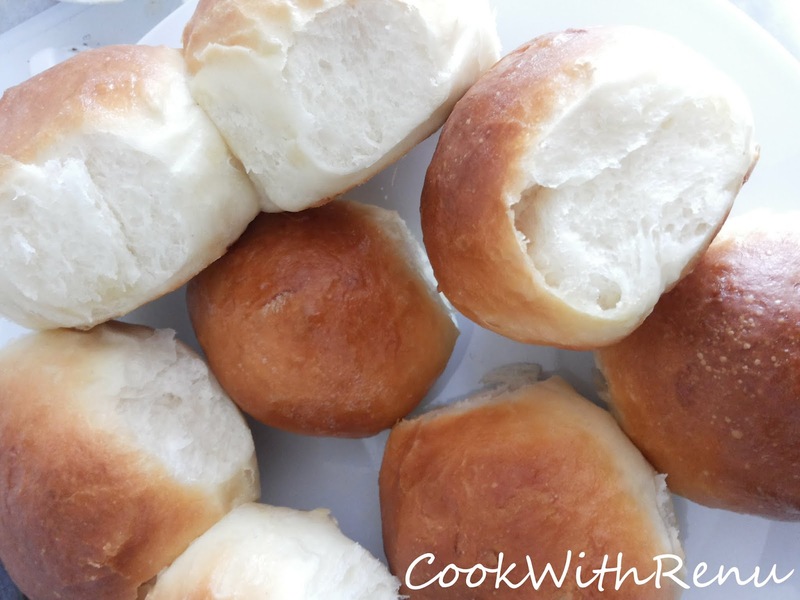 Nothing beats the taste of fresh and warm home made dinner rolls. For a bread lover like me, this is heavenly. Loved the recipe and yes, adding milk to pav definitely increases the softness. Pav looks so perfect. Loved the crust and crumb. Lovely click. Loved the golden brown colour. The texture of the pavs is so soft and perfect. Home made is always the best. 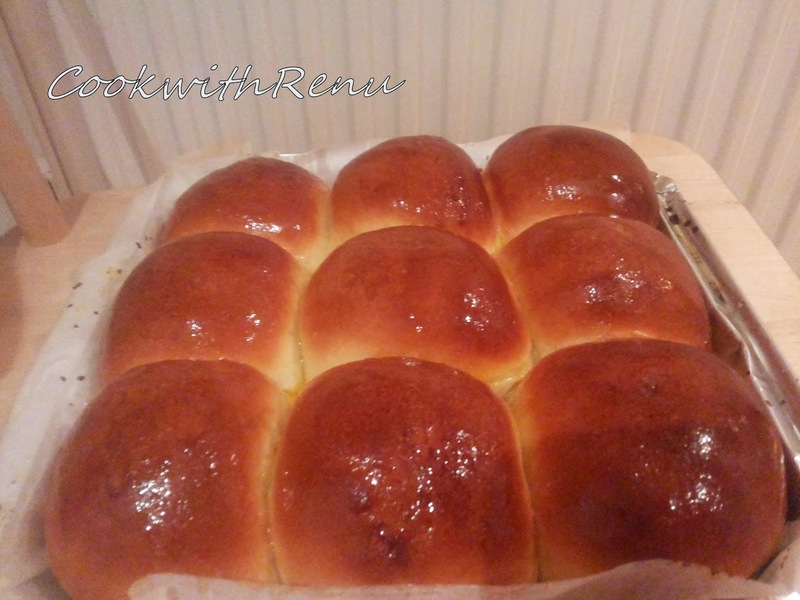 Such a pillowy pav buns, i just love those soft crumb. Extremely tempting buns Renu. I just love this recipe. 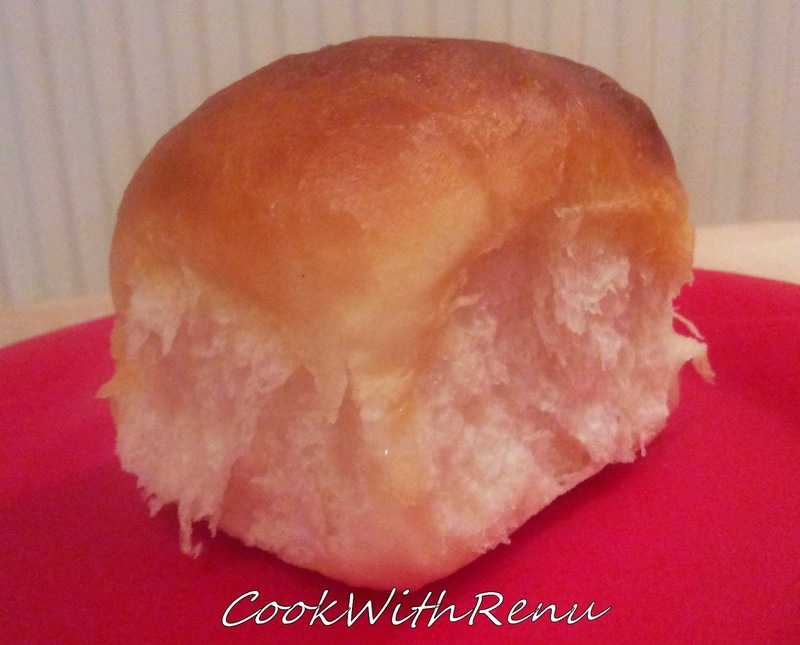 Nice and perfectly baked dinner rolls. Very well explained recipe. Such lovely colour and texture! I'd be happy to eat them on their own too but I can imagine how delicious these would taste as vada pav or soaked in some gravy. This looks so soft and delicious. I make with wheat flour and love the Pav bread. These Indian pav are so fluffy and soft, baked to perfection! Very detailed and explained recipe. How soft and delicious those pav buns are. I just need some bhaji to finish them off smeared with utter. 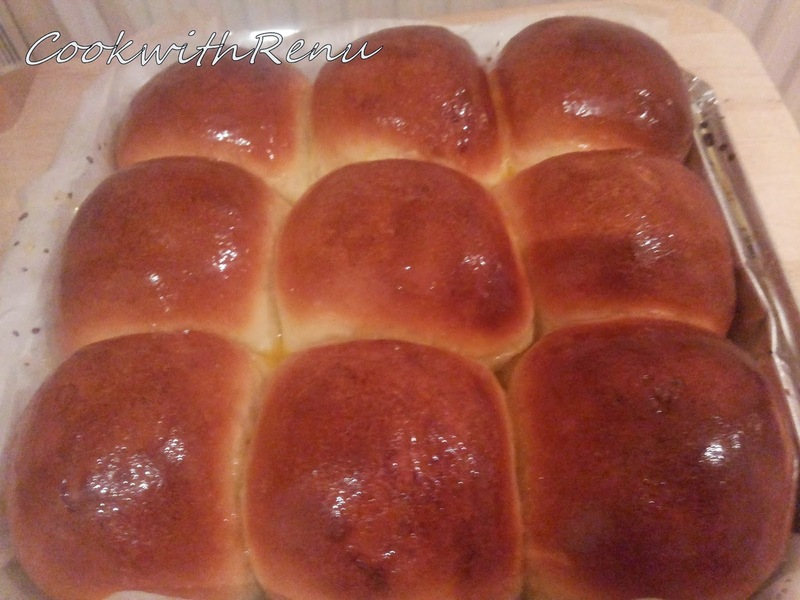 These pav buns looks really soft.I would live have these with some bhaji. Perfectly made soft and pillowy pav 🙂 I wish to makes these one day!